OK, time to cave. Really! Just recorded a job for a client who might have forgotten about me if not for my newsletter updates. My audiobook producer found me on Twitter. I have clients overseas who learned about me on LinkedIn. Tomorrow night I will teach a marketing tele-class for Edge Studio for beginners on VO and Social Media – and in the past few months have found there’s been so much more to learn! 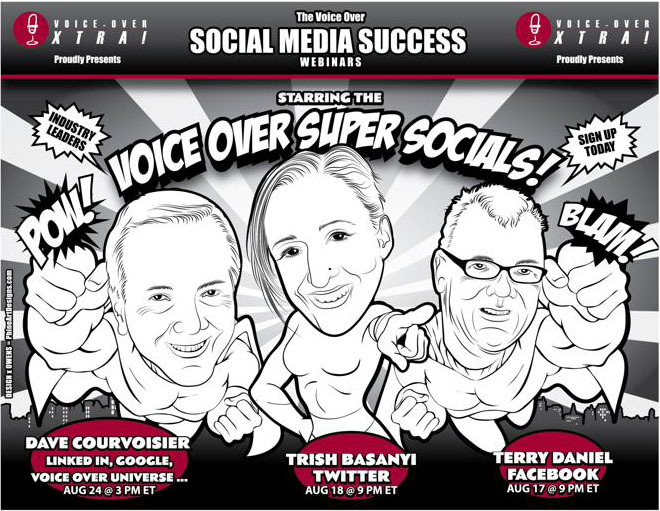 so have signed up for a series of Webinar recordings (well the last one is live today, but I’ll be on the air) from Trish Basanyi, Terry Daniel, Dave Courvoisier – all social media gurus – you can do it too right here http://conta.cc/NewVOsocMediaWebs !